I always keep a collection of gift boxes on hand, purchasing them when I find them on sale and stashing them away for when I need one. In looking through what I had to use for Christmas gifts, I found these great kraft paper boxes with clear acetate circular windows that I thought would be perfect for holiday candies. That sent me off looking through Memory Box dies for round ones that could frame that window. These are the dies I selected. 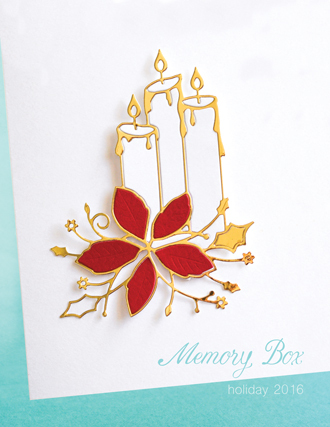 Let's look at the Poinsettia Circle Frame box first. The box is 4" square on the top and bottom and the sides are 1 1/2" X 4". I cut pieces of decorative paper 1/16" smaller than those dimensions--one large square for the top and four rectangles for the sides. In order to figure out how to cut the center circle to expose the acetate, I tried sitting several dies ( cutting side up) from the WRAPPED CIRCLES die set 30114 on the acetate until I found one just a bit smaller than the acetate circle. I added two pieces of washi tape under the die, placed that sticky side up on top of the acetate circle and put my paper face down and stuck the die to the paper square where I wanted it to cut. This size turned out to be perfect for the center of the three circle dies I chose for the boxes! I used Scor-Tape to adhere the papers to the top and sides of the box. 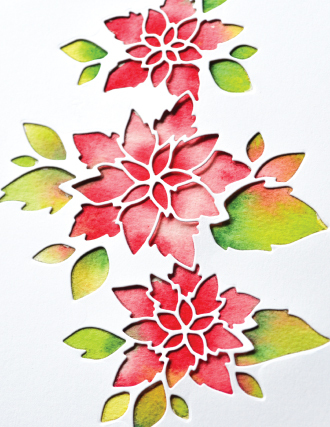 I then used a glue pen to add the Poinsettia Circle Frame around the exposed acetate circle and the small poinsettia in the center of the acetate circle. There's a small U-shaped cut-out in the front panel to make it easier to open the box. I found a tiny circle punch and used that to make the half-circle U.
I then took some narrow Scor-Tape and ran it around the center of the side panels of the box and added a red ribbon over that which I tied in a bow at the front. To finish the box I added some tiny white pearls in the centers of the poinsettias. For the second box I chose the Wrapped Holly Circle Frame. I assembled this box in the same manner as the first one. I used a wired red ribbon and red pearls in two sizes on the holly wreath and added the small holly curvy branch to the acetate circle. 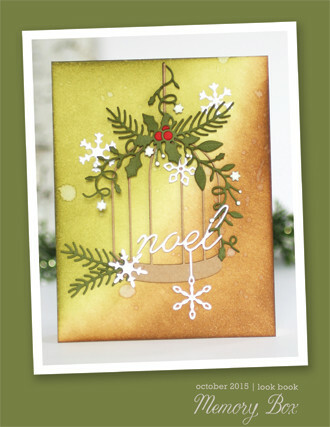 For the third box I used the Hutton Wreath die with some small white pearls and a green-dotted red ribbon. 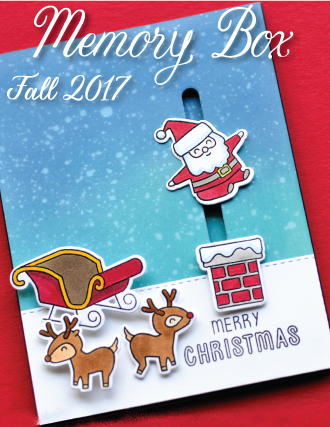 This die was actually from the 2018 Summer Collection but it works perfectly as a holiday wreath when cut from green cardstock. Three pretty boxes to fill with sweet treats for friends! I've found some kraft coffee bags with acetate windows that I can decorate in the same way. And I have other boxes and bags that I can die cut circles into and add my own acetate windows before decorating them. I love the sneak peek of the contents that the little acetate window provides! 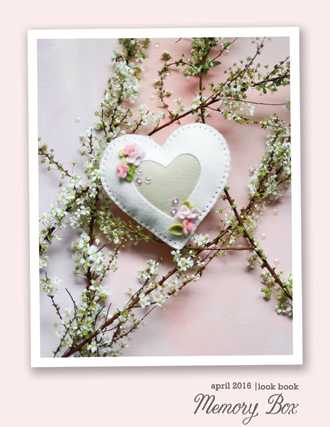 Sweet, simple and special...a Heart Gift Box filled with a Valentine treats! 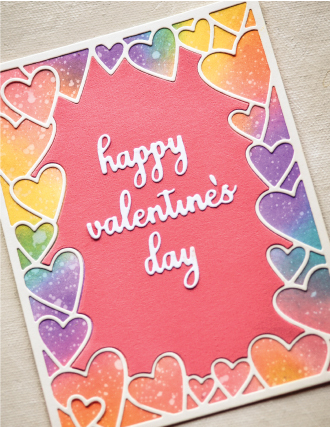 Hi - Jean Okimoto here - Valentine cards are already signed, sealed and on their way, so let's make some pretty treat boxes today. 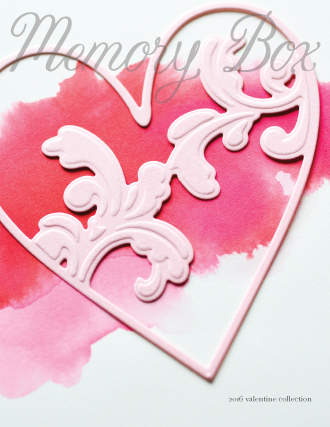 Cut pink, red and flamingo cardstock with the Heart Gift Box die. 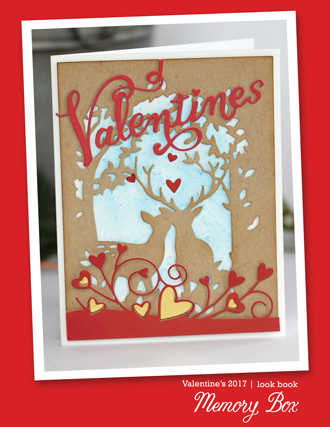 It cuts, scores and adds a heart window in one quick step. 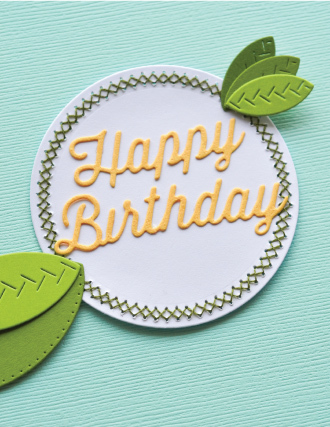 Cut screenprinted papers - like these from Shizen Design and available at Impress - with the 1.5" Circle Basics die. 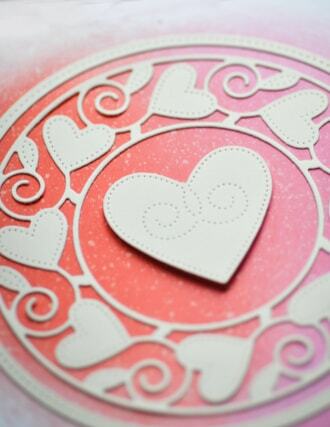 Round diecuts let you rotate the circle until you find the perfect combination of colors and patterns to fill the heart cutout. Attach the circle behind the cutout. Fold the box on the pre-scored lines and attach the side tabs. Punch holes at the top, thread them with gold cord, and add the candy. Tie a knot and curl the cord with a bone folder or the side of that green plastic burnishing tool. Heart-shaped favor boxes aren't just for February 14th...they're great for engagement parties, showers, weddings, Mother's Day brunch, or just to remind someone how special they are. Thanks for stopping by - have fun making these sweet and simple treat boxes! 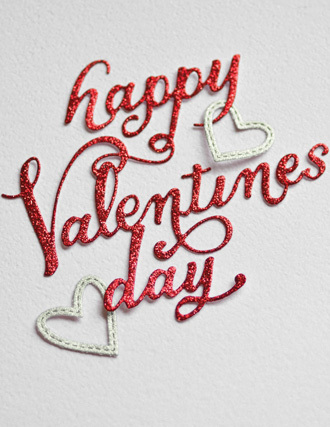 See you again next week...or at the CAKES, CANDLES AND BIRTHDAY WISHES afternoon class at Impress on February 10th. I hope this Christmas season is finding you all well and happy! I have really been enjoying getting ready for our son's 2nd Christmas but the first one where he will be able to open presents and really be an active participant of the festivities! I have a few things to show you today, done by one of our fantastic instructors, Therese P. at our store The Stamp Addict in San Diego. She did these for her holiday tables and brought them into the store to show off and I just had to share them with you! She made a little Candle light holder for part of her centerpiece using star dies for the cut outs and the Snowflake Favor Box die as a base....isn't she clever! She also made a cute angel out of one of those boxes to put in her centerpiece as well and decorated the angels dress (box) with the Starfall stamp! Then she made these name placeholders....just add a foldover name topper and some ribbon...and voila! And these napkin holders...all using the box die as a base and poinsettia die for the topper with some ribbon to add some bling! Hint, to get the napkin through the box, she used an all over/repositionable circle punch on two of the sides of the box. I love what she did with all of them...I know her Christmas table setting will look fabulous this year and I hope what I showed you inspires you to try a few ideas out for your next celebration too! 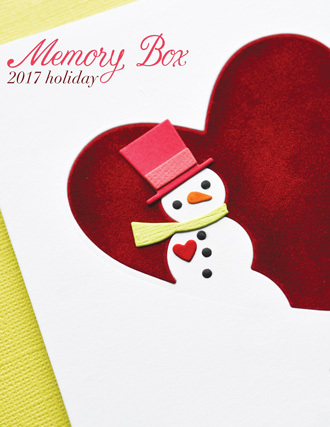 Hope you've been inspired by the projects we've created for you during the Memory Box and Poppystamps Holiday Gift Tags and Treats blog hop. As an added bonus, you'll have a chance to win prizes from Birch Press Design! 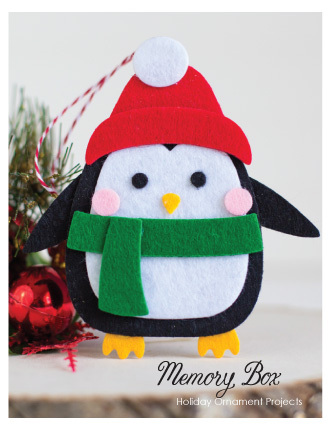 Dave Brethauer, the owner and creater of Memory Box and Poppystamps, has a new venture called Birch Press Design. 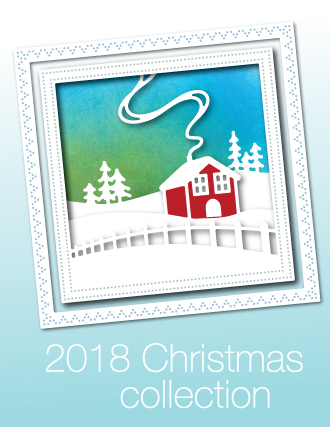 It's a stylish, upscale online shop featuring classic letterpress, laser cut, and printed cards, calendars, journals - and beautiful products for your home. 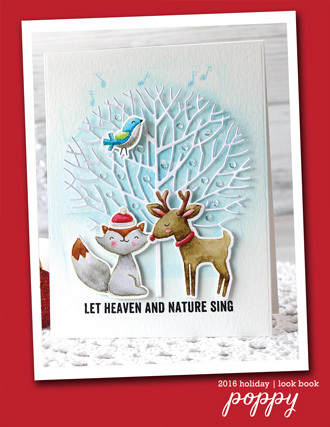 Each day of the hop (December 2-4) we'll be giving away a prize from Birch Press Design. 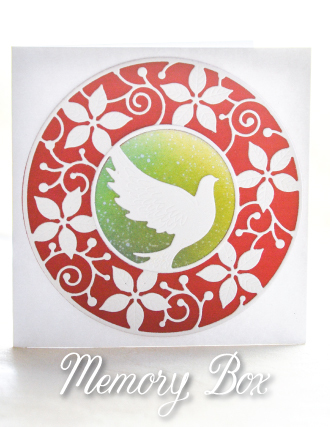 There will be two winners each day - one selected by Poppystamps and another by Memory Box. So while you're hopping be sure to leave comments along the way. Winners will be selected from the Design Team posts. 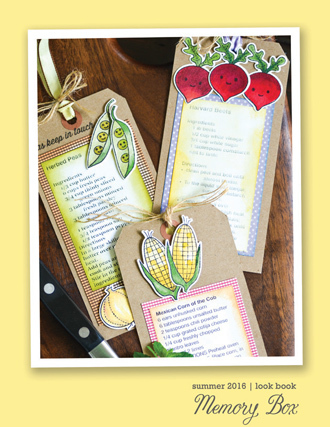 Today's prize is a Birch Press Design Apron - the winner gets to chose her favorite design! Want to see the other designs? You can view them here. 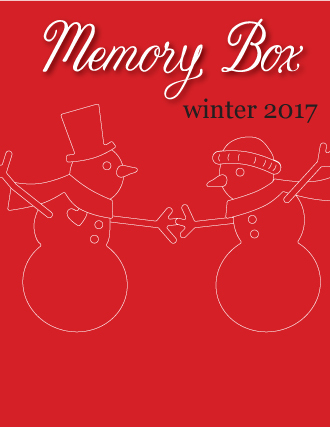 You have until December 10 to leave a comment – winners will be posted on December 15 on the Memory Box and Poppystamps Blogs. The winners will be selected at random from the design team posts. 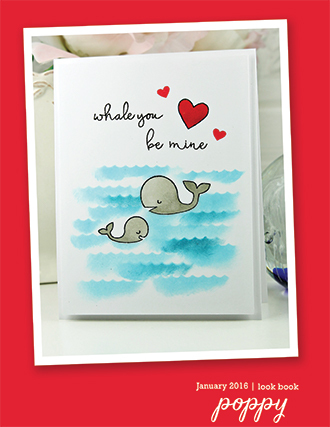 Want another chance to win a great prize from Birch Press Design? Like them on Facebook and share the post about the hop! 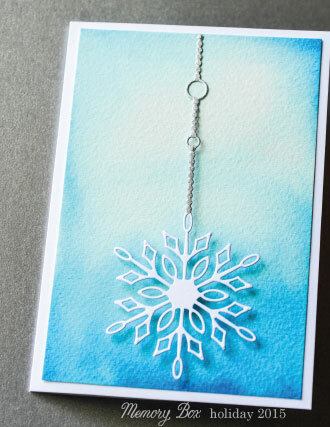 Diecut Snowflake Favor Box from the Signature Prints. Daub Dazzle onto the snowflake halves and emboss them. Crease the boxes on the scorelines and assemble them. Add your favorite holiday treats - then interlock the two snowflake halves. That's it - very easy, very merry. 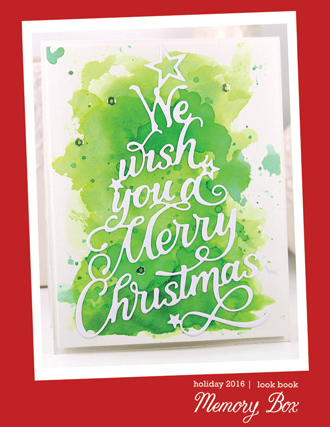 For the stencilled candle wrapper - diecut Merry Christmas Background from vellum. 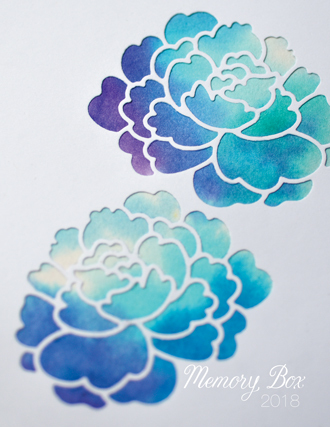 Stencil it onto another sheet of vellum with Dazzle and emboss it. Trim it to wrap around a battery-operated candle, with a 1/2" vertical overlap along the back. Thanks for hopping with us. 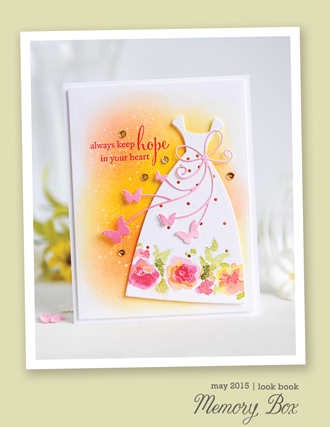 Now hop on over to the Poppystamps blog! 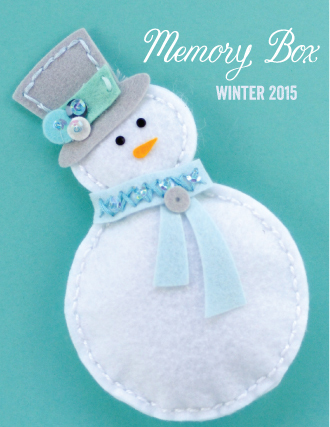 Welcome to Day 1 of the Memory Box/Poppystamps Blog Hop! 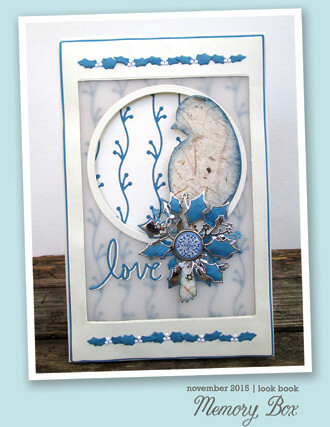 She will be teaching students how to combine dies and how to cut up dies to use for embellishments. Some of the dies she will be using in the class include: Normandy Snowflake, Bristol Snowflake and the Snowflake Favor Box. 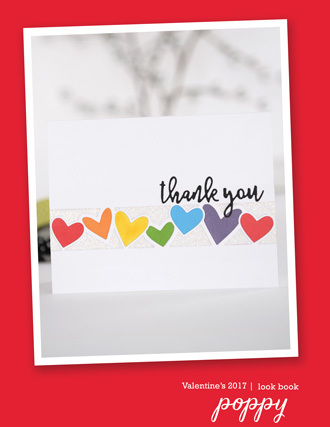 Oh and did you spot the Elliana Background pattern that she used as the background for the card! I hope you enjoy them as much as I did, they really are quite lovely in person! I decided I wanted to make a simple treat box I could use for our placeholders at the Christmas dinner table, and the Memory Box Buttermilk Carton is a perfect solution. Die cut Buttermilk Carton and assemble. Stamp and heat set each set of the carton. 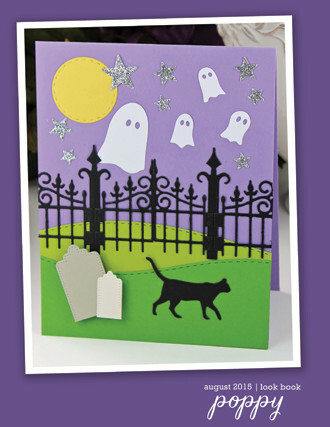 Wrap lace around carton top and adhere with glue dots. 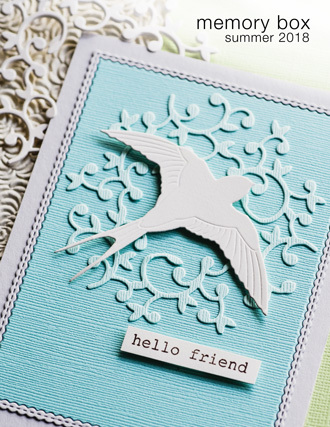 Die cut trees, birds, and date ornament. Adhere with dimensional tape: trees, then birds. Write name on tag and adhere to slanted part of carton (not shown here). 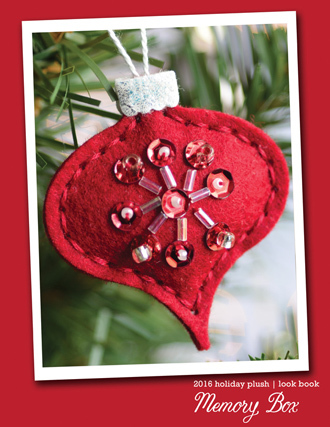 Adhere ornament with gem to center of ribbon. Can you believe it's almost July? Jean Okimoto here with some patriotic summer celebration ideas for you today. Stencil a simple vellum candle wrap - and fill Butterfly Favor Boxes with sweet treats for everyone. It's quick, easy - and sure to turn any party into an event! 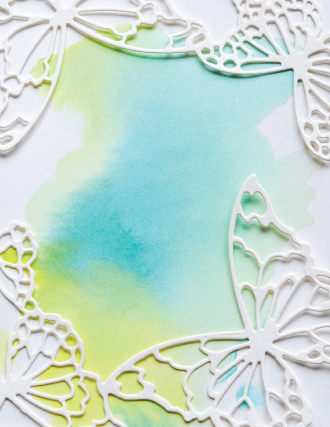 Diecut Butterfly Favor Boxes and crease them along the scorelines. Carefully snip halfway down the center of one butterfly - and halfway up the center of the other butterfly - using the scorelines as a guide. Assemble the boxes, then interlock the slotted sections. 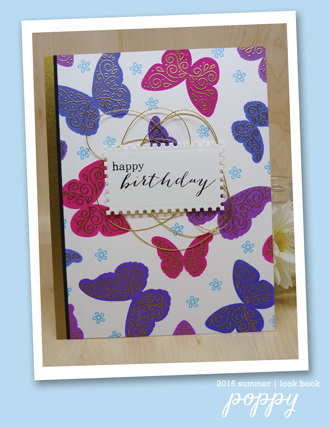 Diecut and attach Swirl Butterfly overlays from Parchment, Cranberry and Blueberry Cardstock. Cut a piece of vellum to fit around a battery-operated candle, plus a 1/2" overlap. Stencil Star Show in the center with Versamark. Emboss it with detail white powder. Stencil and emboss Star Dust on the left side of Star Show. Clean the stencil, flip it over and stencil and emboss Star Dust on the right side of Star Show. 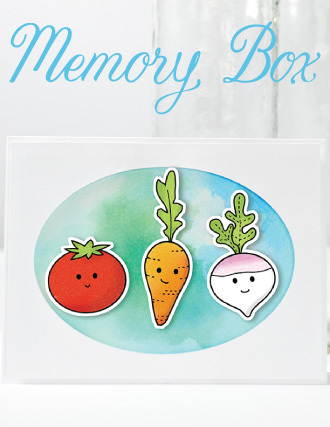 Get the most out of your Memory Box products and add a special touch to your summer parties, picnics and barbeques! Thanks for visiting...hope you'll stop by again this evening for another summer project. 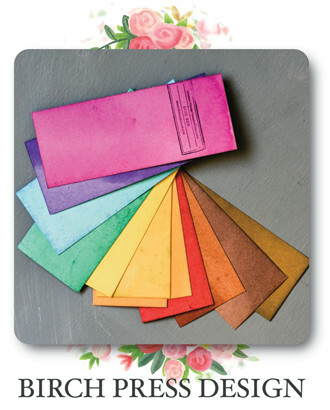 Looking for a quick, pretty - and impressive - party favor for a special brunch or celebration? 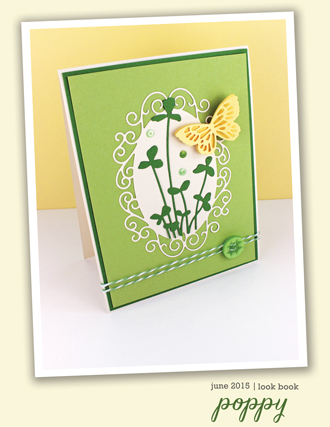 Make Butterfly Favor Boxes and fill them with sweet treats, then make a quick Easter Card. 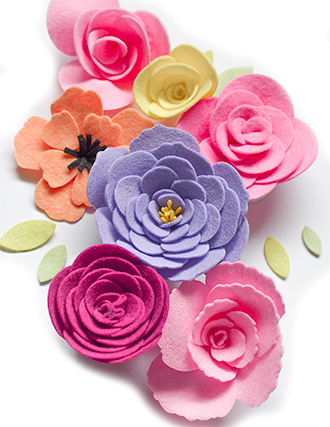 Jean Okimoto here - with two Spring projects today. 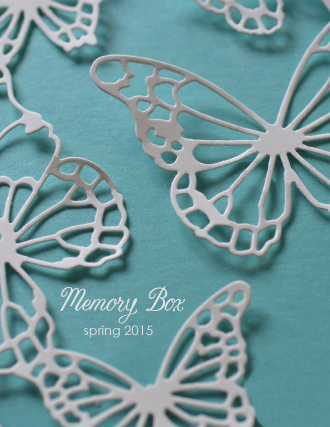 Cut Butterfly Favor Boxes from Memory Box Dots Signature Prints. Snip through each wing on the scorelines - halfway down from the top on one wing, and halfway up from the bottom on the other wing. Fold the box on the remaining scorelines. Begin assembling the box by attaching the side tab. Fold the bottom flaps towards the center and attach them with tape. Fill the boxes. Here's a quick tip - after attaching tape between the "cover flaps," clamp them with tweezers to secure the tape. Next, partially (and carefully!) cross the two snipped wing centers and slot one into the other to close the box. 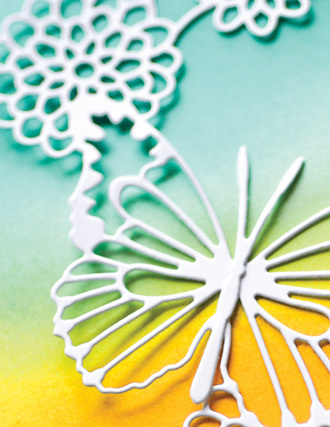 Use the Metal Adapter Plate and the other plates required for thin metal dies to cutter the delicate butterfly overlays. 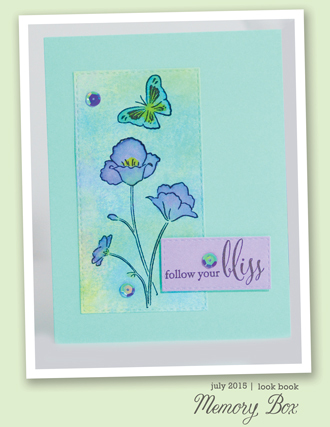 Cut the Swirl Butterfly and antennae from Violet, Juniper and Raspberry Cardstock. Cut the Vivienne Butterfly and antennae from Granny Smith and Mango Cardstock. Attach the butterfly overlays and antennae to the boxes with 1/8" wide Scor-Tape - use a pin to push any excess tape behind the diecuts. 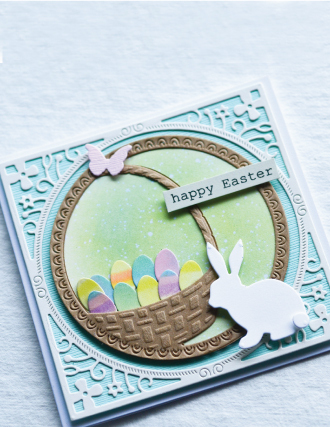 Attach two of the punched eggs to the card then stencil Mesh over them for a bit of dimension. Diecut Perched Reed Bird twice - from yellow felt and again from Jack O Lantern Cardstock. Snip off both tails and a tiny bit of the felt feet. Layer the felt bird (now a chick!) 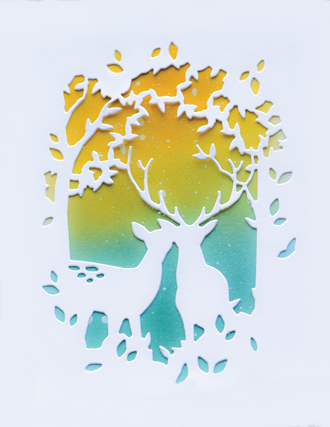 over the cardstock diecut, then snip off a tiny bit of the cardstock feet. Big thanks to everyone from the Stencil It - Beyond the Basics class at Impress. 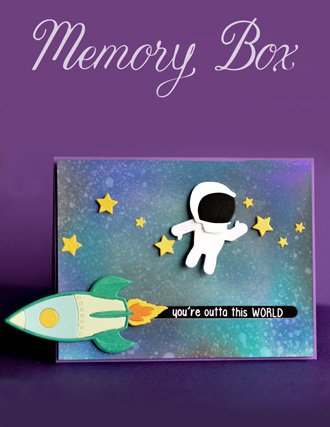 Hope you enjoyed learning different ways to use your Memory Box designs. 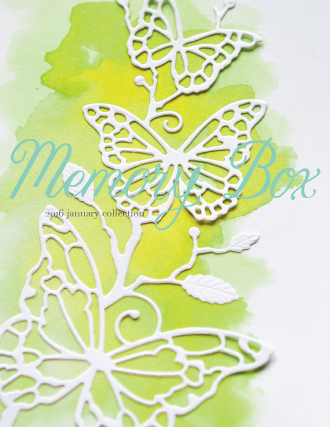 Memory Box Dies and Designer Stencils make it quick and easy to create Easter and Spring projects. 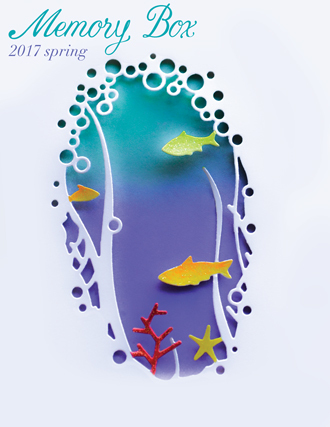 Please visit our Ideas Gallery for additional details and more Spring designs. Here's to a Sweet New Year! 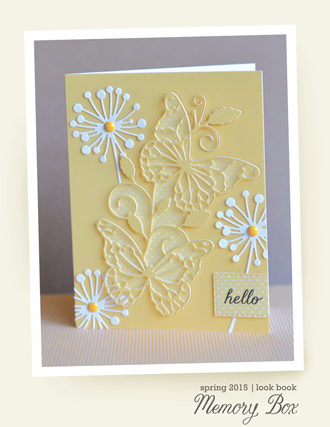 Spring is here in San Diego and one of our instructors Therese P. at The Stamp Addict is teaching three great classes on making these wonderful Butterfly Boxes! The classes are happening this coming Wed. March 19th from 10:30-11:30AM, 2-3PM and 6:30-7:30 PM. So give us a call if you want to reserve a spot in one of the classes! 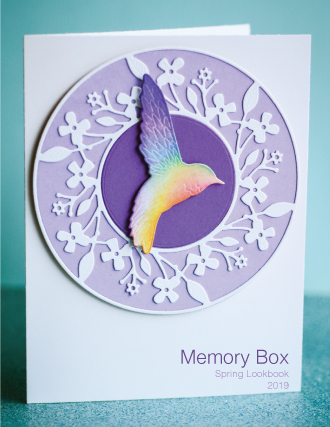 She is using Memory Box and Poppy Stamps dies and I love what she came up with...wouldn't you love to get an Easter or Mother's Day or a 'just because' surprise in one of these boxes?! I know I would!